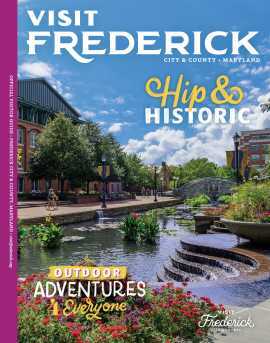 Home to gorgeous outdoor parks and trails, immaculate historic buildings, great local restaurants, and an ever-expanding calendar of festivals and events, Frederick County is a popular destination year-round, but summer is a special time to visit, when many of the best things to do in Frederick County are free. 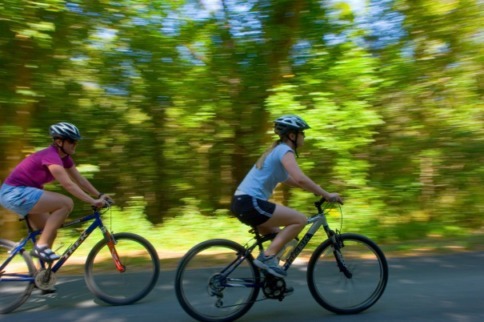 If bike riding through a historic district, snapping Instagram-worthy pictures of waterfalls on a hike and going on a self-guided driving tour through covered bridges sounds like a great way to spend a weekend this summer, start planning your trip! Check out these five free things to do this summer in Frederick County, Maryland. There are no entrance fees to any of the national parks in Frederick County, which bodes well for the budget-minded traveler. Catoctin Mountain Park­ offers 25 miles of hiking trails, ranging from easy to strenuous. Families with children should look into the Junior Ranger program at each park, where kids can complete activities and earn an official Junior Ranger badge. This August, national parks will be celebrating their centennial anniversary by hosting various events, giving nature lovers an excellent opportunity to learn more about park history by joining tours and watching demonstrations. Thanks to the people of Frederick who have worked hard to preserve the historic architecture in the area (some dating back to the 1730s), a brief stroll through historic downtown Frederick can be an educational and cool experience. 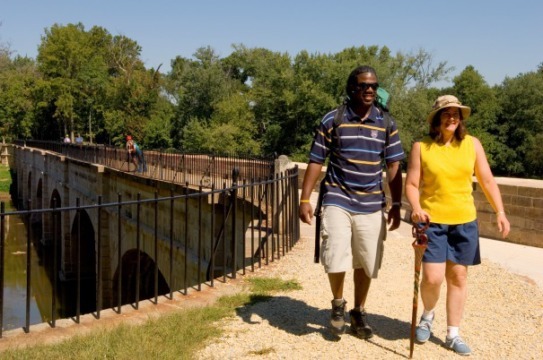 Step back in time by taking a free, self-guided walking tour around Downtown Frederick. Several well-known places of interest, such as the Weinberg Center for the Arts and the National Museum of Civil War Medicine, are on the tour as well as some lesser known sites. There’s also a free Frederick Walking Tour app that will guide you to 46 locations around Downtown Frederick. It includes 7 mini tours based on various segments of local history. One of Frederick County’s most treasured attractions is its covered bridges. 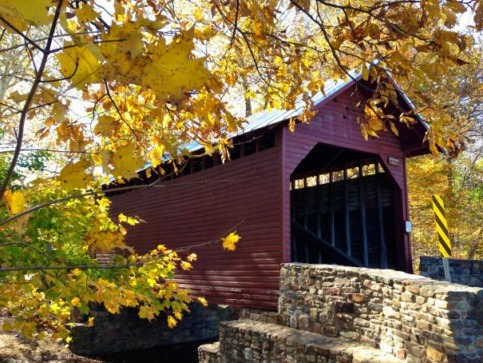 Northern Frederick County is home to three historic covered bridges that are listed on the National Park Service&apos;s National Register of Historic Places and part of only six remaining covered bridges in the state of Maryland. Take a self-guided driving tour to visit Frederick County’s bridges, all within 12-miles of each other. The three bridges—Utica Mills, Loy’s Station and Roddy Road—all date back to the 1800s and have adjacent recreational areas. In total, the tour goes for 33 miles. Start north of Frederick by US15 (Catoctin Mountain Highway) and Old Frederick Road. Along the way, you’ll see towering trees, rolling hills and farmlands. Check out the local and regional music scene for free by going to one of the performances during the summer Concert Series at Baker Park. 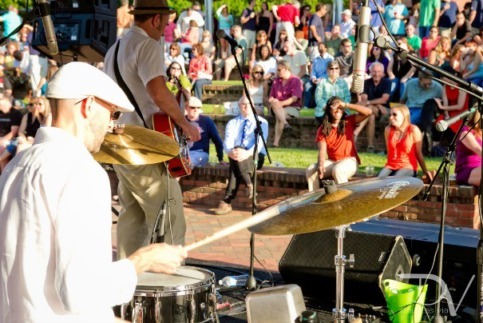 Every summer, June through August, Baker Park hosts a series of free evening concerts on Sundays. Bands play a range of music from bluegrass, to jazz, to afrofunk, to American rock. Food and drinks are available to purchase from concession stands, and concertgoers are advised to check out the event page in advance to look for upcoming free shows. Want to beat the heat of summer and enjoy some time indoors? Many of Frederick County’s museums and historic sites are free of charge. Visit the Seton Shrine and learn about the life of Saint Elizabeth Ann Seton and her journey to becoming the first American-born saint. Want to learn more about the county’s history? On weekends, you can learn more about the county’s fire and rescue history with a visit to the Frederick County Fire and Rescue Museum. And don’t forget about the Frederick Visitor Center! It has exhibits that connect many of Frederick County’s attractions to its natural and cultural resources. The visitor center also has a must-see orientation film.